For more than 20 years Auto Glass Express has been serving Shoreview with quality and affordable auto glass repair and replacement services. Our technicians are well-trained and friendly. They will travel to you to take care of your windshield repair or replacement needs at no extra cost. Busy? We'll contact your insurance provider for you. We just need the year, make, & model of your car and your insurance policy #. We can come to you in Shoreview with our mobile windshield replacement service at no extra cost. We're proud to be a BBB A+ rated company and AGRSS certified. We're also approved to work on vehicles by all major insurance carriers. Call us today, our staff will take care of the hard stuff while you go about your normal day! 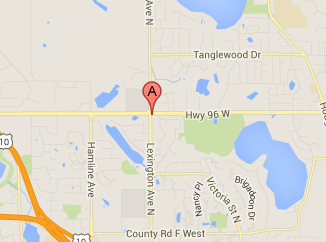 If you live in Shoreview, click the button below or call us at 651-494-9252.